Mody I, De Koninck Y, Otis TS, Soltesz I. 1994. 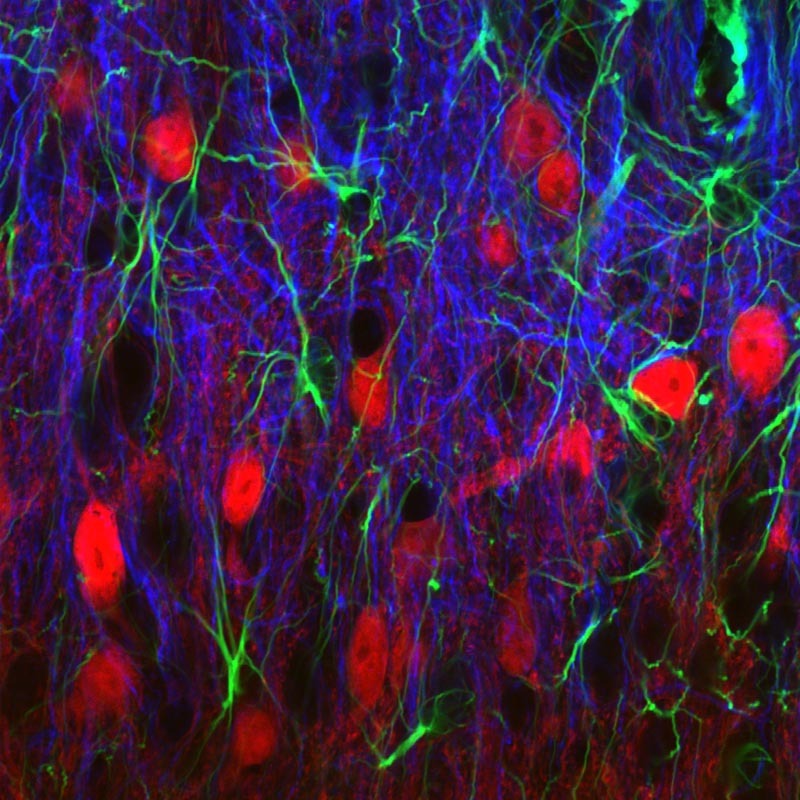 Bridging the cleft at GABA synapses in the brain.. Trends Neurosci. 17(12):517-25. Otis TS, De Koninck Y, Mody I. 1994. Lasting potentiation of inhibition is associated with an increased number of gamma-aminobutyric acid type A receptors activated during miniature inhibitory postsynaptic currents.. Proc Natl Acad Sci U S A. 91(16):7698-702. De Koninck Y, Mody I. 1994. 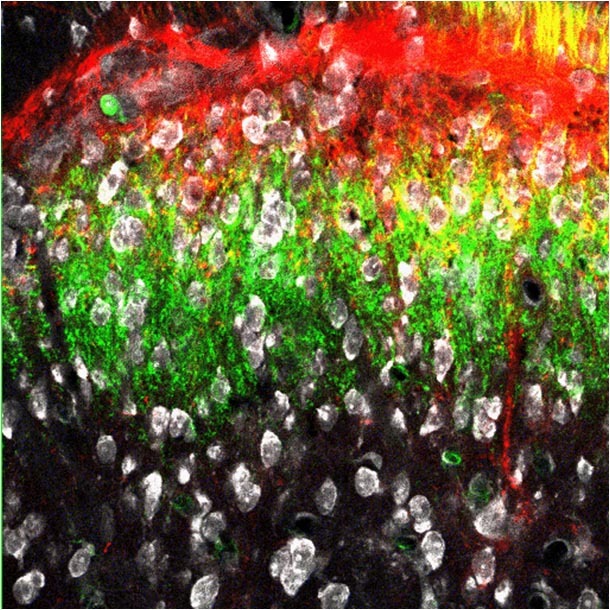 Noise analysis of miniature IPSCs in adult rat brain slices: properties and modulation of synaptic GABAA receptor channels.. J Neurophysiol. 71(4):1318-35. De Koninck Y, Henry JL. 1994. Prolonged GABAA-mediated inhibition following single hair afferent input to single spinal dorsal horn neurones in cats.. J Physiol. 476(1):89-100. De Koninck Y, Salter MW, Henry JL. 1994. Substance P released endogenously by high-intensity sensory stimulation potentiates purinergic inhibition of nociceptive dorsal horn neurons induced by peripheral vibration.. Neurosci Lett. 176(1):128-32. De Koninck Y, Mody I. 1996. The effects of raising intracellular calcium on synaptic GABAA receptor-channels.. Neuropharmacology. 35(9-10):1365-74. Ma W, Ribeiro-da-Silva A, De Koninck Y, Radhakrishnan V, Henry JL, Cuello AC. 1996. Quantitative analysis of substance P-immunoreactive boutons on physiologically characterized dorsal horn neurons in the cat lumbar spinal cord.. J Comp Neurol. 376(1):45-64. De Koninck Y, Mody I. 1997. Endogenous GABA activates small-conductance K+ channels underlying slow IPSCs in rat hippocampal neurons.. J Neurophysiol. 77(4):2202-8. Ma W, Ribeiro-da-Silva A, De Koninck Y, Radhakrishnan V, Cuello AC, Henry JL. 1997. Substance P and enkephalin immunoreactivities in axonal boutons presynaptic to physiologically identified dorsal horn neurons. An ultrastructural multiple-labelling study in the cat.. Neuroscience. 77(3):793-811. Salter MW, De Koninck Y. 1999. 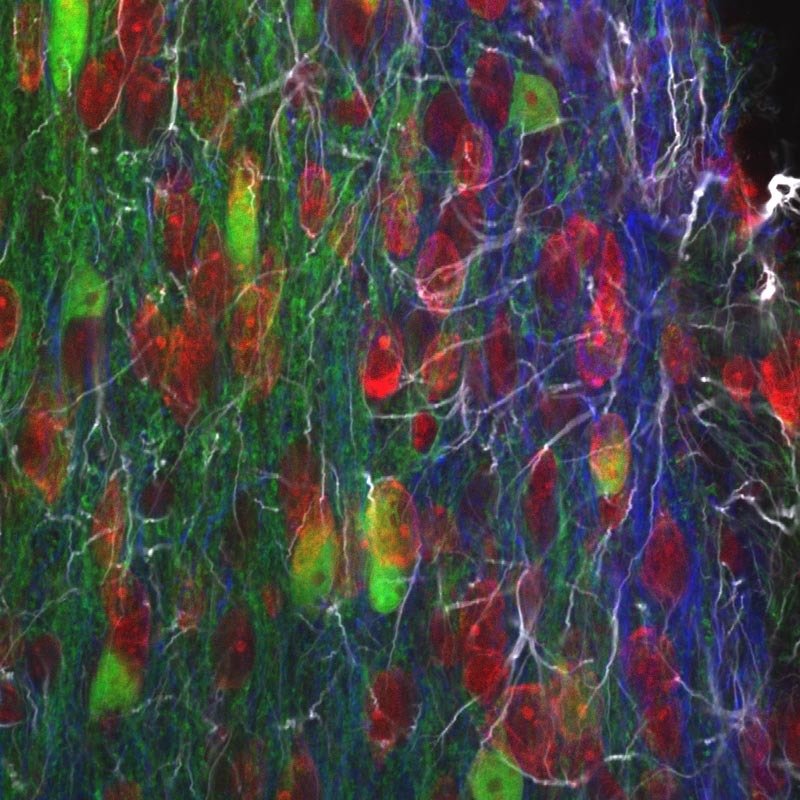 An ambiguous fast synapse: a new twist in the tale of two transmitters.. Nat Neurosci. 2(3):199-200. Chery N, De Koninck Y. 1999. Junctional versus extrajunctional glycine and GABA(A) receptor-mediated IPSCs in identified lamina I neurons of the adult rat spinal cord.. J Neurosci. 19(17):7342-55. Yu XH, Zhang ET, Craig AD, Shigemoto R, Ribeiro-da-Silva A, De Koninck Y. 1999. NK-1 receptor immunoreactivity in distinct morphological types of lamina I neurons of the primate spinal cord.. J Neurosci. 19(9):3545-55. Poirier JL, Capek R, De Koninck Y. 2000. Differential progression of Dark Neuron and Fluoro-Jade labelling in the rat hippocampus following pilocarpine-induced status epilepticus.. Neuroscience. 97(1):59-68. Chery N, De Koninck Y. 2000. GABA(B) receptors are the first target of released GABA at lamina I inhibitory synapses in the adult rat spinal cord.. J Neurophysiol. 84(2):1006-11. Wong TP, Marchese G, Casu MA, Ribeiro-da-Silva A, Cuello AC, De Koninck Y. 2000. Loss of presynaptic and postsynaptic structures is accompanied by compensatory increase in action potential-dependent synaptic input to layer V neocortical pyramidal neurons in aged rats.. J Neurosci. 20(22):8596-606.